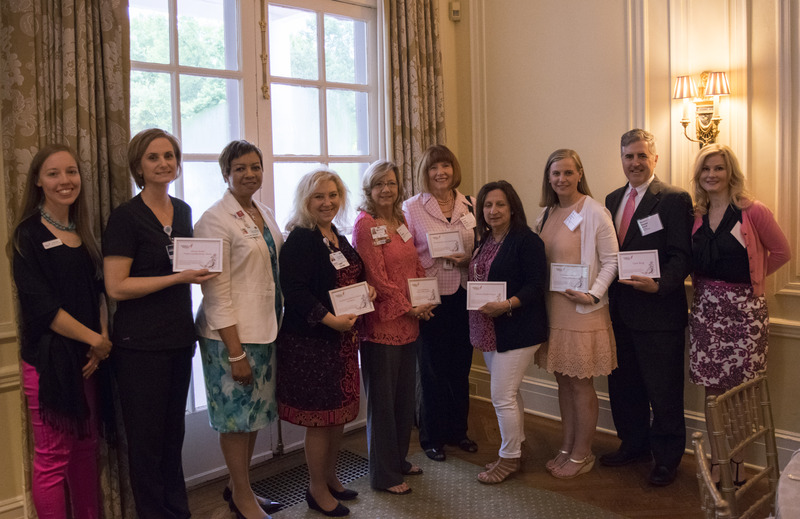 For the period of April 1, 2018, through March 31, 2019, Komen Charlotte is awarding funding to 10 local programs that provide screening, diagnostics, education, lymphedema treatment/bandages, survivorship support and patient navigation to individuals with limited resources in its 13-county service area. An independent Grant Review Panel recommended projects based on breast health needs identified in Komen Charlotte’s Community Profile. Please refer any individuals in need of services to Mary Hamrick, Outreach Programs Manager at Komen Charlotte. Direct: (704) 817-4086 / m.hamrick@komencharlotte.org. 1. Cabarrus Health Alliance. This grant involves screening mammograms, diagnostic testing and an evidence-based breast health education program helping individuals take action for their breast health. 2. Care Ring Breast Health Initiative. This new community grant involves screening mammograms, diagnostic testing, education and patient navigation. 3. Atrium Health Project Lymphedema. This is a collaborative grant with lymphedema therapists in eight different locations throughout the Komen Charlotte service area. The grant provides lymphedema compression garments, bandages and therapy, to manage and improve breast cancer-related lymphedema. 4. Carolinas Healthcare System NorthEast Breast Health Outreach Program. This grant involves screening mammograms, mobile mammography, 3D mammograms, diagnostic testing, education and patient navigation. 5. Accessible Compression Therapy for an Underserved Population, through Carolinas Rehabilitation Main. This grant sees patients from multiple counties, and provides lymphedema compress garments, bandages and therapy, to manage and improve breast cancer-related lymphedema. 6. Charlotte Community Health Clinic, Inc. This grant involves screening mammograms and in-office education, as well as referrals to their partner Novant Health for diagnostic testing. 7. Person to Person, through Mecklenburg County Health Department. This grant involves screening mammograms, onsite mobile mammography and diagnostic testing. 8. Novant Health Huntersville and Matthews Medical Centers Screening and Diagnostic Program. This grant involves screening mammograms, mobile mammography, 3D mammograms, diagnostic testing, education and patient navigation. 9. Novant Health Presbyterian Medical Center Foundation. This grant also involves screening mammograms, 3D mammograms, diagnostic testing, education and patient navigation. 10. Novant Health Rowan Medical Center Foundation. This grant involves screening mammograms, 3D mammograms and diagnostic testing, as well as high-risk assessment.